Currently on show at Somerset House in London is the exhibition of winning work from the World Illustration Awards 2016, presented by the Association of Illustrators (UK) in partnership with the Directory of Illustration (US). I visited the exhibition on a recent trip to London, and left feeling inspired, motivated and somewhat blown away. 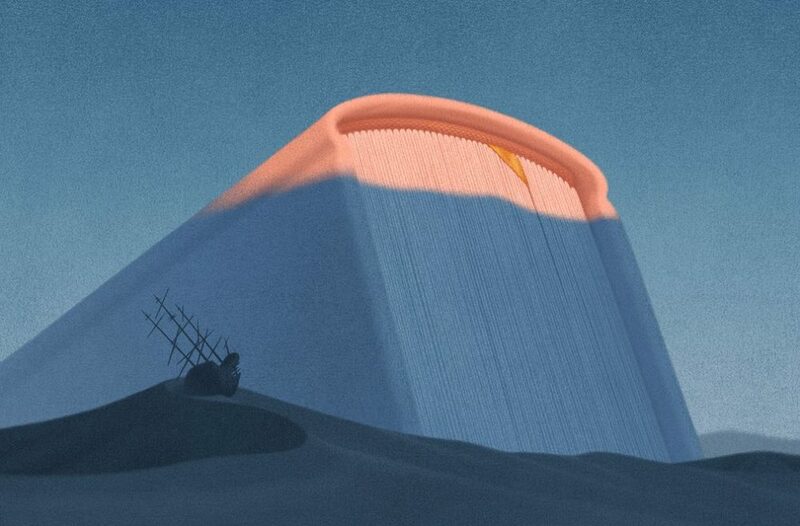 The World Illustration Awards is an international competition for illustration, reviewed and awarded by a jury of distinguished and international industry professionals. The awards are broken into categories such as Editorial, Children’s Book, or Public Realm, with awards for both professional and emerging illustrators. 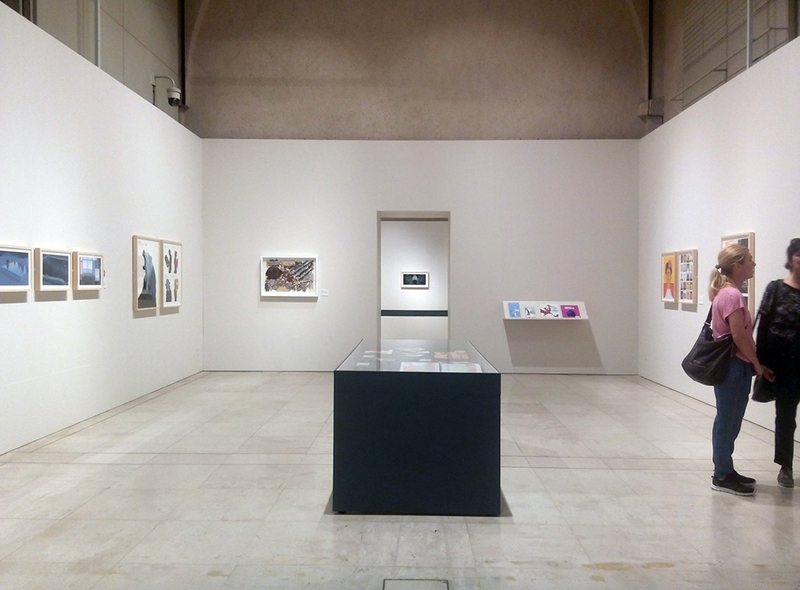 The award-winning works and some shortlisted artists from the 2016 competition make up the current exhibition at Somerset House, and all of the shortlisted entries are presented online. 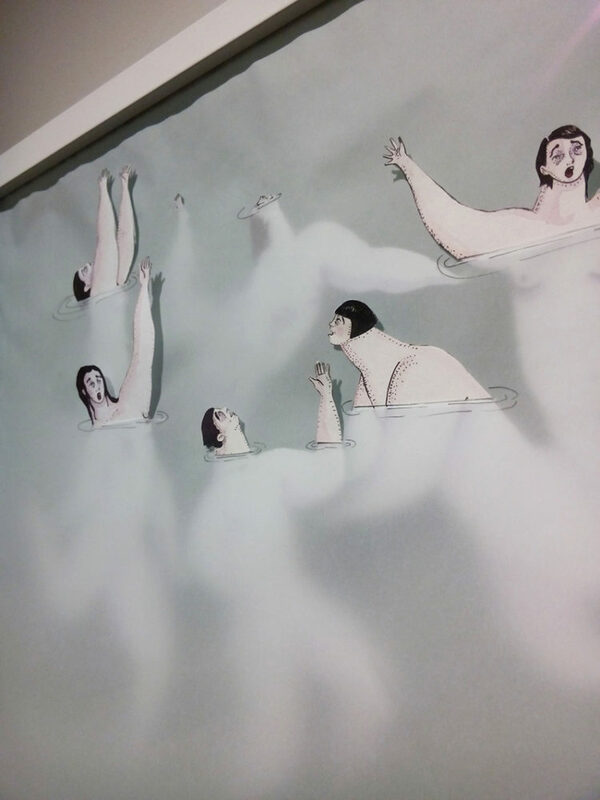 Moving around the exhibition space, the illustrations were simply framed and elegantly presented, with the works well spaced and sensitively lit. Alongside the framed illustrations you could also flick through finished books, or peer into vitrines, to see the illustrations in place in their final publications. This helped the exhibition avoid the common trap of presenting illustration out of context, as art or decoration to be judged purely on aesthetics. 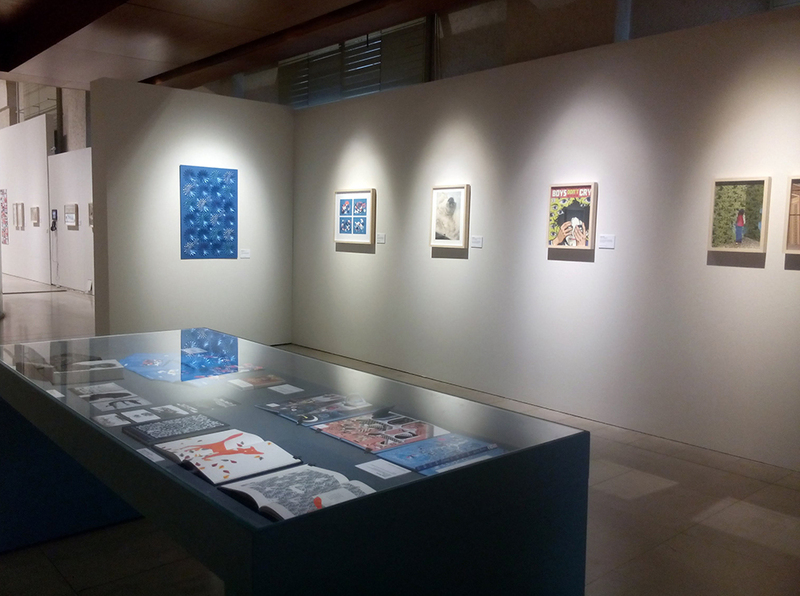 The WIA 2016 exhibition really showcases the immense skill, innovation and depth of ideas of the winning illustrators. It feels like many exhibitions I’ve seen recently have focused on work that is super trendy – often work based on what can be achieved with Adobe Illustrator, or ‘naive’ style drawing. This exhibition was refreshing. It really showcased the diversity of styles, approaches and techniques that illustrators use to communicate ideas – from etching, to digital collage, to 3D rendering, and was an inspiring experience. 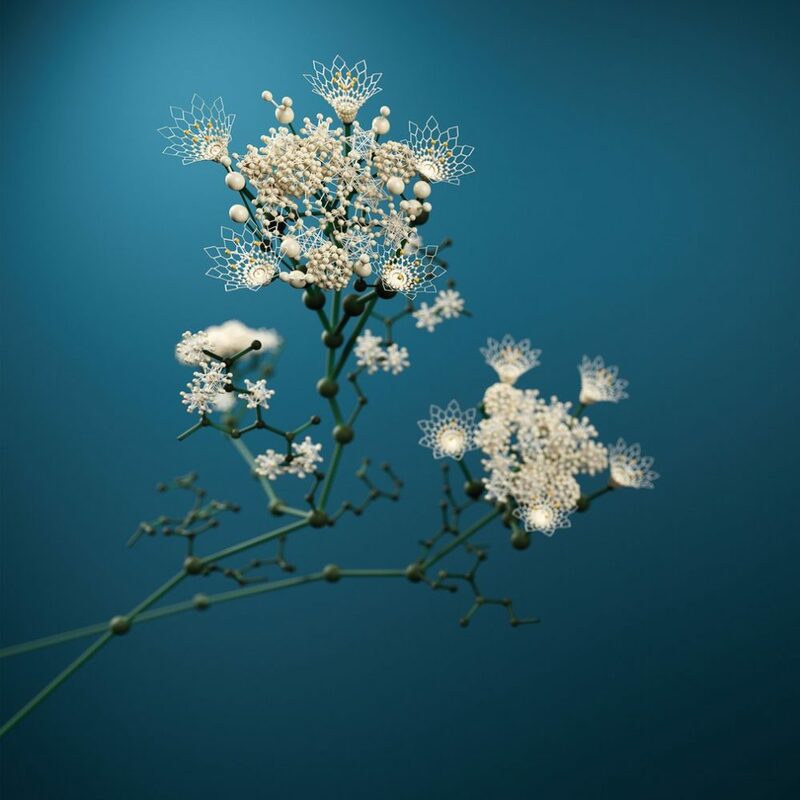 Stand-out works for me included the incredibly detailed 3D renders of flowers and plants, built from scientific structures, by Fraser Shiers at Forge & Morrow. Also deeply impressive was Matt Huynh‘s interactive web comic/animation ‘The Boat’, commemorating the 40th anniversary since the Fall of Saigon. The work by Jungho Lee, the overall professional award winner, was incredibly elegant, imaginative and evocative. Interesting, all of these illustration projects were developed over quite a lot of time, 10 weeks for Shier’s plant illustrations, and both Huynh and Lee spent one year on their projects. Perhaps having the chance to work for months on a project, rather than weeks or days, meant their ideas and techniques could be so much more developed and refined. 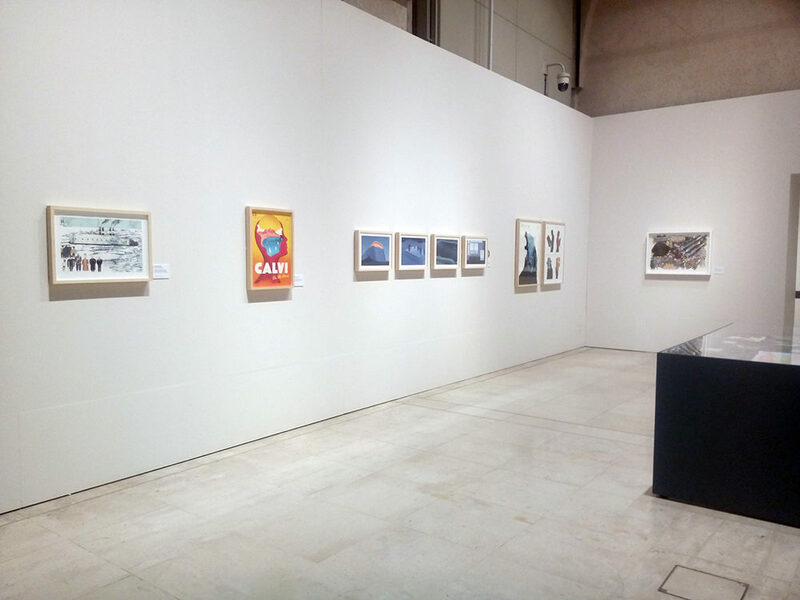 I highly recommend visiting the World Illustration Awards 2016 exhibition – the illustration work is stunning and stimulating, and it is a great opportunity to experience the diversity of contemporary illustration practice. The WIA 2016 exhibition is on show at Somerset House in London until August 29th, after which it will then tour the UK.